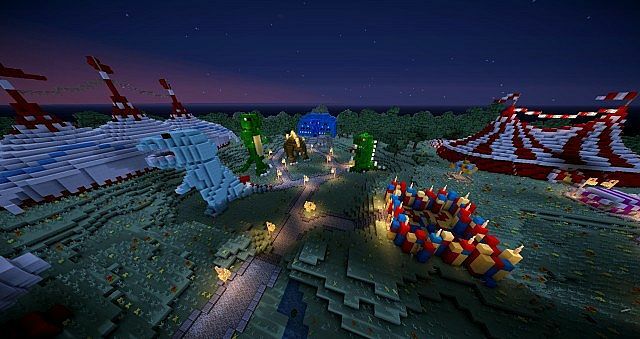 The Planet Minecraft carnival spawn! Welcome! The kiddie play area! Dinosaurs, plinko, and minigames! Skeeball, archery minigame, and Pharoh's Tomb 3D maze! 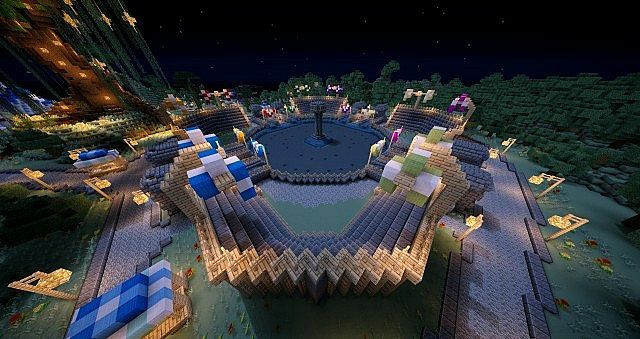 Parkour challenges, including a 4-player parkour race! Boat races! Two player and four player versions. Here it is! This is the full map created for the ExtraLife charity carnival. 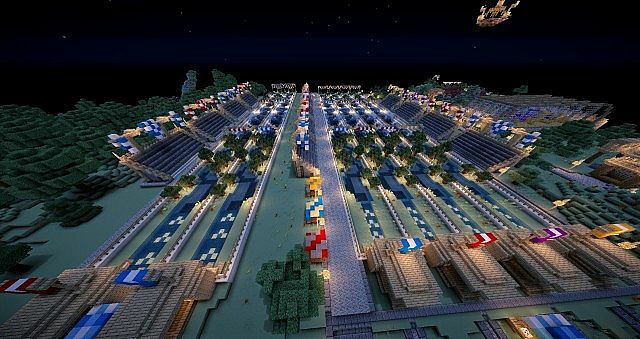 Now you can all enjoy the mini-games, roller coasters, and race courses built for this event! 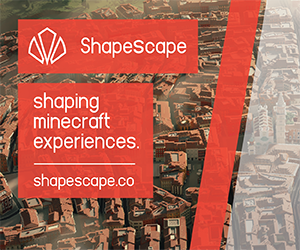 Download the map and check out the games! 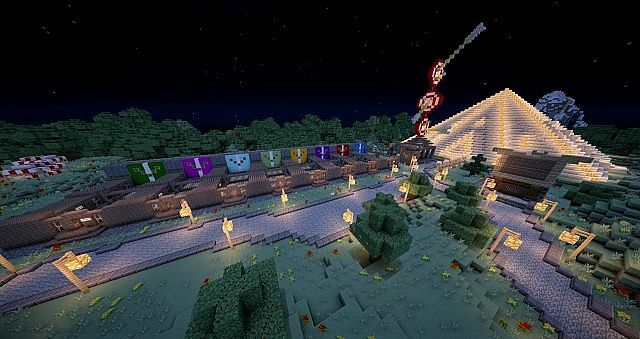 Cooperative build project between PMC staff, Creative-Node, and several other special guests. Use of this server or builds on it is strictly prohibited. Upload copies or modified versions of this map to this or other sites. Upload parts of this map as schematics or world saves. 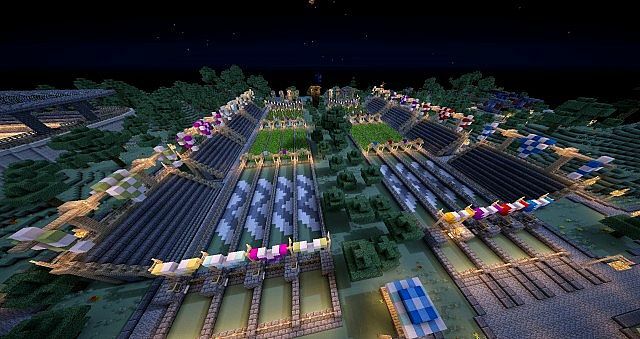 looks good is it for 1.7.10? looks amazing! downloading now! can't wait to play some games! 1 Diamond to you sir! This map seems amazing tis' the awesome creators for being such geniuses! 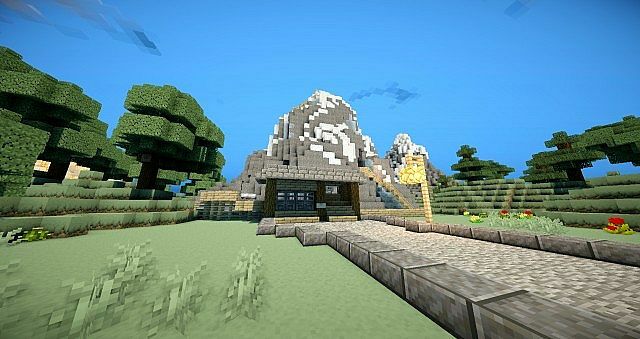 Is it okay if I use this map and open up a server with it? I will give you full credit and PM you the IP if you give me permission that is. What-a nice project. I like it! When I opened it I was at black void I couldn't move, but I could open my inventory. It even said "loading terrain". What's wrong? 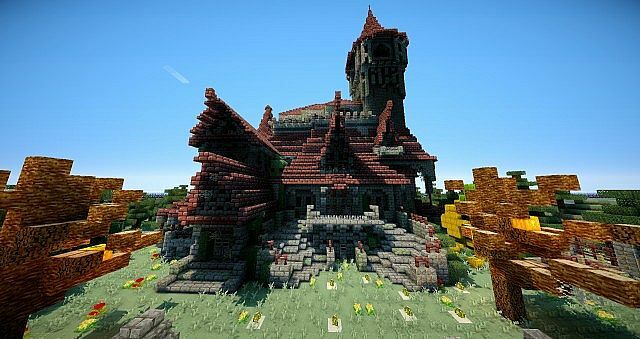 Let me see one off your best builds then you stupid kid. 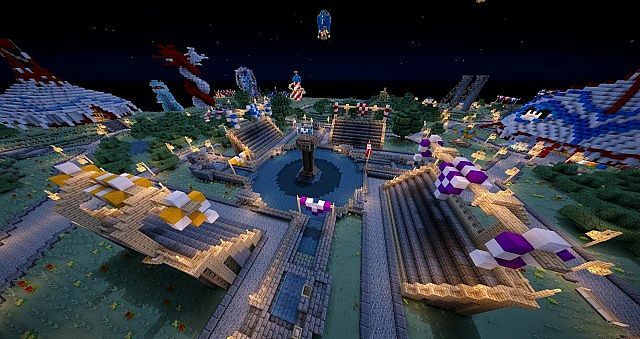 You guys should totally make a server with this map, plugins and all! Can u upload the plugins and stuff? I like this, this is a good thing! I like this thing! It is good! is there a server that has this on it? 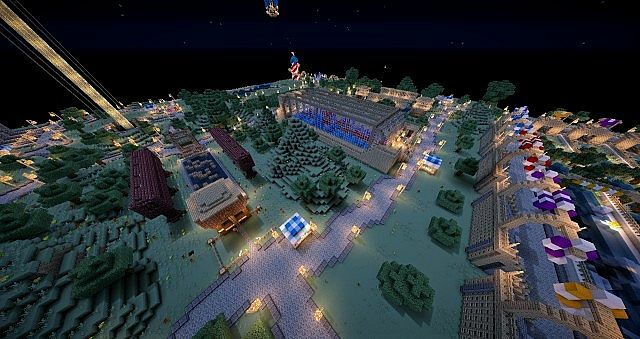 The official PMC server has it and other cool stuff, try it! Best carnival ever! Better than funland 3.0! Use World Guard with the fire-spread flag set to deny to fix the spreading I assume? All of the minigames work. About the fire, um... not sure really how to fix that. thanks, only one minigame i don't know how to play, and what plugin is for the teleports sign? Great map, but there is something in the haunted house (or thats where I first saw it) that caught the world in flames... Please fix that, I want to explore more!! We had on a mod that stopped fire from spreading. Kinda slipped my mind when I uploaded here. In the description it says 'rollercoasters'. But wasn't there only one? There were three. One used a warp. Could you please name the three. The reason why is that [size=11px][color=rgb(63,63,63)][color=rgb(203,155,14)]Ragnur Le Barbare[/color] [/color][/size]asked me to use my 'Dragon Coaster'. I gave him permission to use it. I've been looking all over the map for it. Is it on the map? Your coaster is not on the map. Ragnur's Space Coaster and Hadowkai's Frosty Mountain coaster are, and then the mini-coaster in the kiddie area. What plugin did you use for the signs? apart from the free food and giving yourself stuff can you use it without essentials. 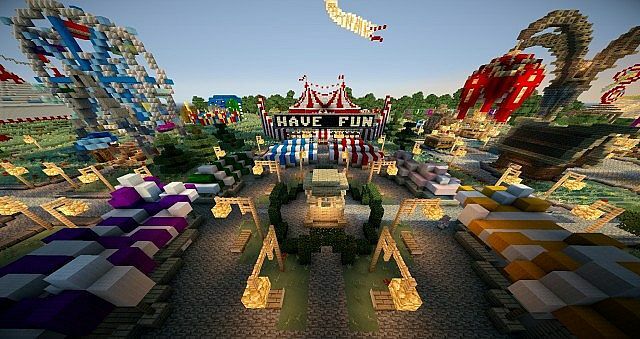 Do you need essentials to play all of the minigames?